The sketchbook is a wonderful tool in any studio practice to improve creativity, explore ideas, stay inspired and motivated. It becomes visual diary committing to paper those ideas rattling in the right brain. 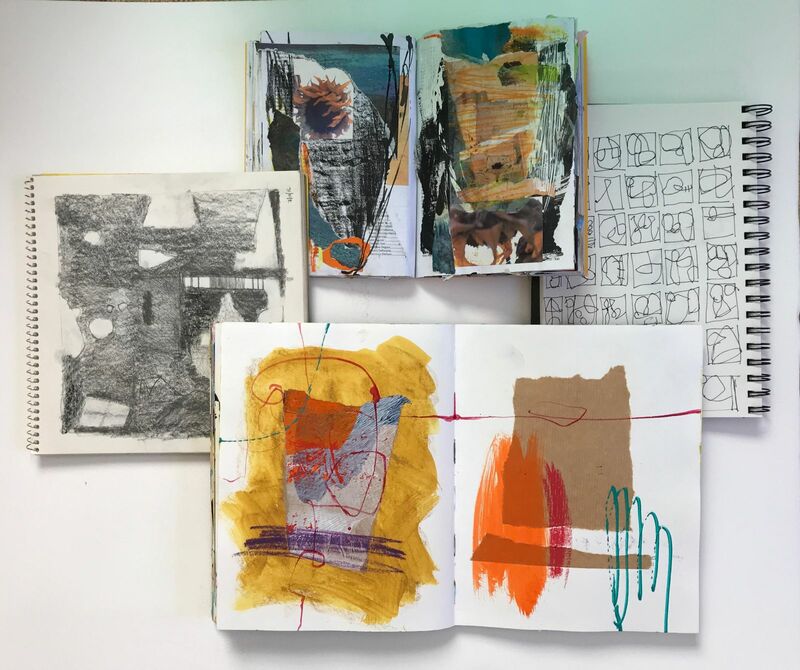 We will review some master artists’ sketchbooks (most pretty messy), sketchbook options and experiment with a variety of materials from a simple pencil to markers, paint and collage. Through exercises students can engage in the process of playing as it is the beginning stage of creativity allowing more risk taking since a “finished” piece is not the goal here. At the end of the workshop artist may find some gems to explore further in their art practice. About the instructor: Martha Wakefield, artist, instructor and mentor, has been producing works of extraordinary imagination for many years. Born and raised in Maine, Wakefield is deeply attuned to its sea swept lands and unforgiving shore. Her internal geography of memory and impression originates in Maine and serves as a springboard for studies of love, loss, and deep emotions. Schooled at the University of Vermont and the Fashion Institute of Technology in New York, Wakefield returned to Boston following a successful career in New York City’s fashion industry to pursue her unfinished business as a full time artist. She has studied with Wolf Kahn, Skip Lawrence, Stuart Shils and Jon Imber.